Welcome to our newsletter for April 2019. A bumper edition, this one, as we reflect on the effects of the federal Budget from earlier this week. Whether the Treasurer’s announcements come to pass depends on what happens next month in the Federal election. But our analysis will help you make up your mind. We also take a look at the impact of a change that was introduced in last year’s Budget. Have a read and see if you are affected. Welcome to our newsletter for March 2019. In this edition, we take a deeper look at the Australian share market – which has ‘roared back’ since our last newsletter. Once again, we see the Australian market acting in concert with the US market. But we also include a discussion of dividends and the impact they have on overall returns for share market investors. We hope you enjoy the newsletter and that the month of March is a good one for you. Welcome to our first newsletter for 2019. We hope that this New Year will be a peaceful and happy one for you and your loved ones. We look forward to continuing to provide you with high-quality advice about all aspects of your financial management. Please do not ever hesitate to contact us if there is anything that you would like to discuss. We hope you enjoy our newsletter. The Australian share market continued its fall over the past month. Pretty clearly, this fall is being driven by changing sentiment in the US market. When we look at the drivers of the US market, this does not make a lot of sense. But the old saying appears to be true: when the American market catches a cold, the rest of the world sneezes. Well, we will almost say ‘we told you so.’ Last month we analysed the extraordinary growth of the US share market over the last ten years – and suggested that the main driver of that growth, the technology sector, may be in for a correction. And the correction happened: shares in one company alone (Amazon) fell by 18% across the first 26 days of October, while the (US) market fell 9% overall. Read on to see what this means for the Australian market. In this newsletter, we look at a very strange phenomenon. In 2008/2009, Australia was one of very few developed economies that did not enter recession as part of the GFC. Despite that, our share market fell by about the same proportion as the US share market. Since then, however, the US market has roared ahead, while the Australian market has grown at a much more gentle pace. Read on to find out the hows and whys of the difference. In this month’s newsletter we discuss the state of the share market and how it is measured – exactly what is the ASX 200? We also give you a good analysis of what may well become a problem in the future: tweeting now, paying later. Enjoy! 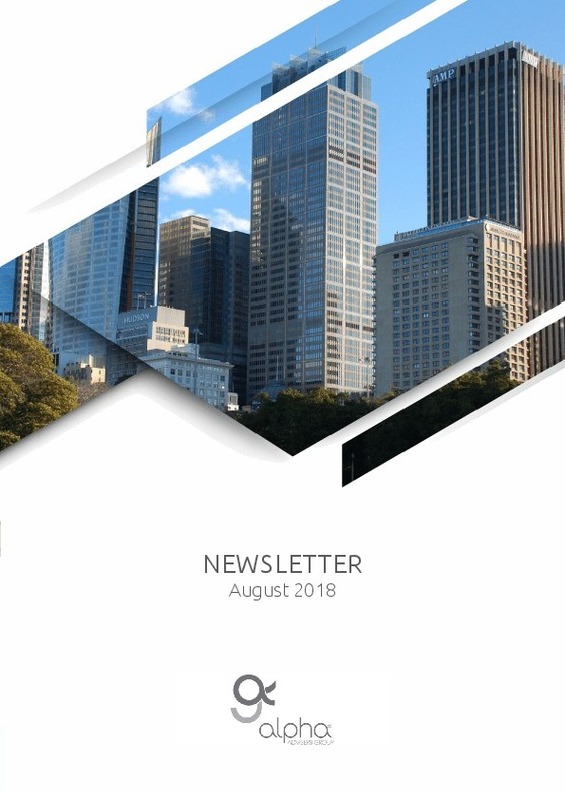 In this newsletter, we take a step back from the short term noise to look at some underlying demand factors that affect investment markets: the interplay between owner-occupiers and investors in the residential property market; and the semi-regular reactions to the threat of tariff ‘wars’ on global share markets. Please enjoy! In this July newsletter, we have a look at the financial year that has just ended. And, when we compare residential property and the share market (Australia’s two largest investment markets), we see a marked contrast: a great year for share market investors, not so great for residential property investors. Unless they invest in Hobart. Indeed, Hobartians with a decent share portfolio should be the happiest people in the country right now.